EcoFungi are fungi that grow in and out of the roots of plants resulting in improved growth, vigor and productivity of plants. EcoFungi increases the ability of the plant to get water and nutrients from the soil, by increasing up to 1000 times the area of soil where the plant gathers its nutrients. Furthermore, EcoFungi has the ability to extract nutrients that are not chemically available to the plant. EcoFungi needs to be applied in direct contact with the roots of plants. EcoFungi can be mixed with seeds before planting. 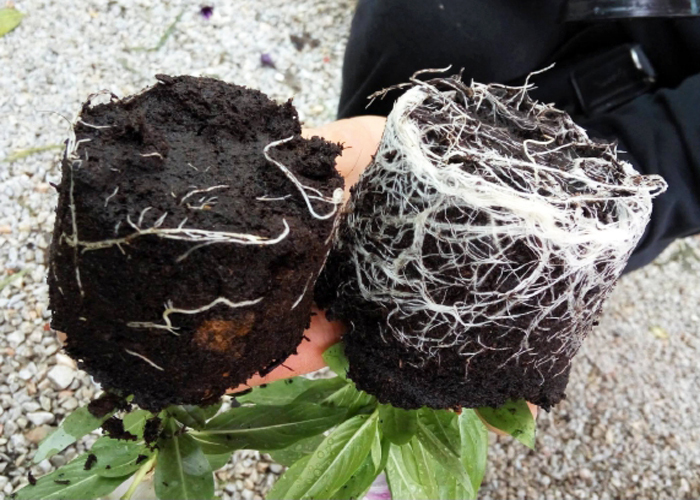 The roots of plants can be dipped in a solution made up with EcoFungi before transplant. EcoFungi can be injected in the soil, close to the roots of established plants. Please consult our technical sheet for application rates and diverse formulations of EcoFungi.